How to raise a child with Down Syndrome ? Are you a parent of a child with Down Syndrome. Are you engulfed with feelings of loss, guilt, and fear. Do understand, you are not alone in this battle. You will find lot many like minded parents, resources and support around which will help you to raise your child in the best possible way. Meet Miss Devanshi Joshi. She won 2017 Helen Keller award. She did her early education at regular school and cleared class X and XII through NIOS. She is a great dancer and photographer too. Now she works as a store manager at Gram Bharat and she is leading an independent life. She has even won President’s National Award for Empowerment of Persons with Disability for best employee. Looking at her life one can understand that children with Down syndrome can lead a normal life. Disease Statistics says that every year in India between 23,000 and 29,000 children are born with Down Syndrome. 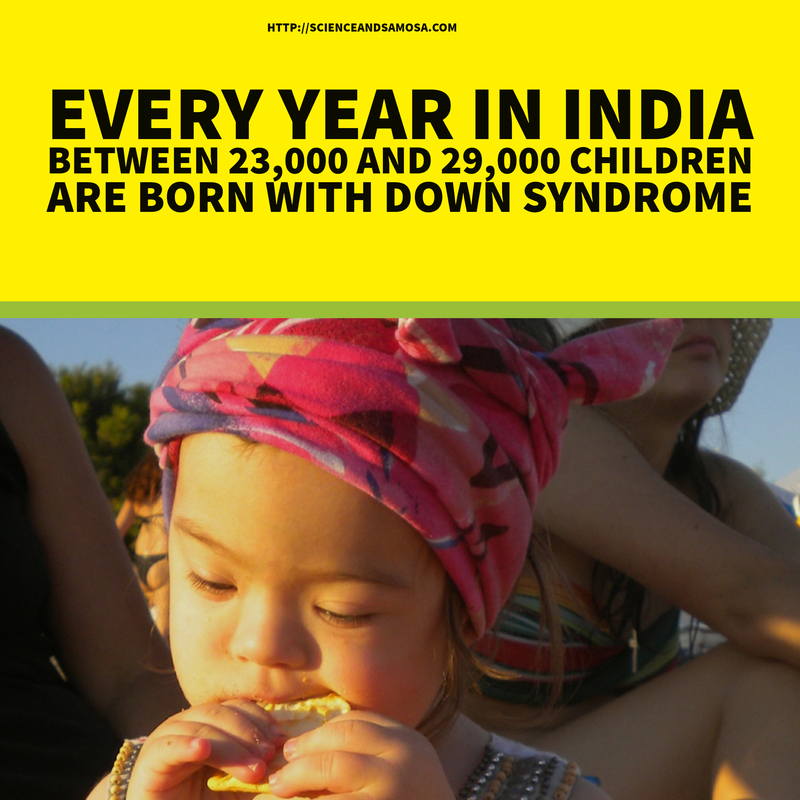 Down syndrome is one of the most commonly observed chromosomal disorder in India. In Down syndrome, each cell in the body possess three copies of chromosome 21 instead of two copies, as a result in place of 46 chromosomes a person with Down Syndrome has 47 chromosomes. Children born with this syndrome will have learning disabilities, developmental delays, unique facial features including flat facial profile, an upward slant to the eyes, small ears, and a protruding tongue, and low muscle tone in early infancy. You indeed are having at home a special child and to raise the baby as a confident child first you need to be informed and trained. In India you have many organizations which works for kids with Down syndrome. These organizations offer programs and trainings which can help both parents and kids. “Down Syndrome Federation of India” offers support to individuals with Down’s Syndrome and their families through various Down’s Syndrome Institutions across India. They arrange for children with down syndrome early intervention program to vocational training. This place is the brain child of Dr. Surekha Ramachandran (mother to a wonderful child named Babli, who too has triumphed over Down syndrome). Parents of Down’s Syndrome or PODS is based out of Mumbai. They organize camps, provide training for kids and work relentlessly towards “inclusion” of mentally challenged in the mainstream of society. Amrit Foundation of India work towards the development and well-being of disabled children. Their flagship programme, The Little Peepul Tree, focuses on children with intellectual and developmental challenges. This organization is run by Ravi and Jo Chopra. They have various programs for special kids. The Early Intervention Centre (EIC) is for very young children with developmental delays. They have Karuna vihar development centre to cater the needs of special kids in the growing years. They educate parents and help mentally challenged children to lead normal life.